At the time of writing, Canon have 3 different full frame cameras to choose from. 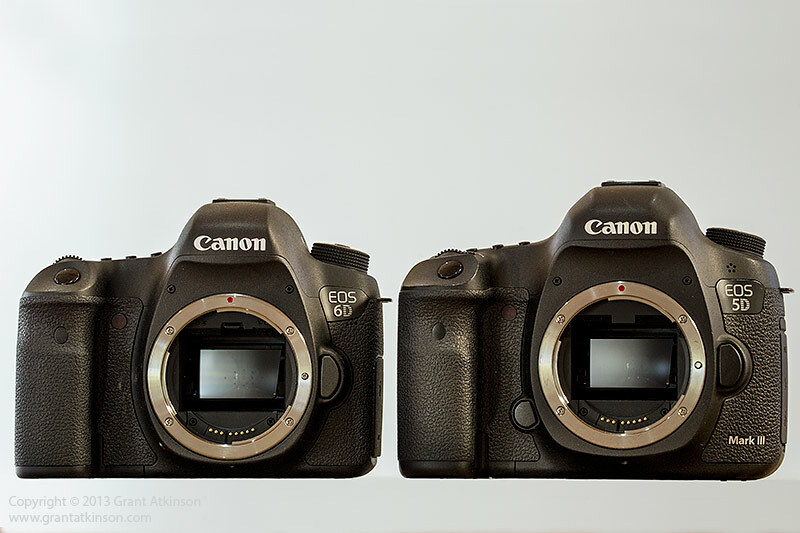 One of these is their range-topping EOS 1DX, which is differentiated from the others by its speed, large physical size and cost. The other two full-frame offerings are the 5Dmk3 and the recently released 6D. Both of these cameras have their full-frame sensors housed in relatively compact bodies, and there are other similarities, too. After having used both bodies extensively, I have compared the two dslrs feature for feature, and shared my own experience that comes from shooting with both of them. If you are in the market for one or the other, and unsure which might suit your needs best, keep on reading. For this comparison, I did not use the optional battery grips on either body. Adding the battery grips will bulk up both bodies, and make holding them more comfortable for most users, whether shooting horizontally or vertically. There is also the benefit of longer battery life that comes with the addition of the second battery cell in the pack. On the other hand, the battery grips add weight and bulk. That can be a negative for carrying the cameras for long periods, and also for travel, and airline baggage and weight restrictions. Both of these camera bodies can achieve their maximum frame rate without the need for a battery pack, unlike some other camera brands. When it comes to build quality and feel, the 5Dmk3 feels a little more rugged than the still-solid 6D, perhaps due to more and heavier metal in its shell. Both cameras have the new, grippy rubber that Canon are using on their better camera bodies nowadays, although the 5Dmk3 has more of it, with even the sliding flap that covers the card slots being coated. The 5Dmk3 has a high degree of weather-sealing, with Canon claiming a level of protection equivalent to that of their older flagship film camera bodies. Canon claim equivalent weather-sealing on the 6D although I could not get any more details on this. So far I have had no significant dust or moisture ingestion showing up on the sensors or mirrors of either camera. They are both as good as or better than all my Canon cameras since the 5Dmk2 in that their sensors and AF screens are exceptionally good at staying dust-free. Both bodies share the same On/Off switch, as well as a lock-button in the middle of the mode dial. Both cameras have the regular mode settings for AV, TV, P , M, Bulb and intelligent Auto. The 5D has 3 custom settings, whilst the 6D has just 2 custom setting positions, but it also has a Scene and a Creative Auto mode, which are features that may be appreciated by users upgrading from entry level and compact cameras. Flash mounts are similar, and both cameras have a top lcd screen that shows virtually all of the most important settings. The five buttons on the front of the top LCD screen have only a single function each on the 6D. They are AF, Drive, Iso, Metering Type and the light. On the 5Dmk3, there are only 4 buttons, and three of them have a double function, depending on which control dial they are combined with. The 5Dmk3 also has a M.Fn button ahead of the shutter release, which is used to cycle through the different AF point grouping options. The eyepiece on the 5Dmk3 is larger, and it is deeper than the one on the 6D. As can be seen from above, the 5Dmk3 also has a deeper grip which is quite chunky. For those with smaller hands, the 6D may be a better fit. On the back of the 5Dmk3, a full set of controls is present with a row of buttons down the left side of the 3.2 inch LCD screen, as well as the large Quick Command Dial and AF Multicontroller on the right side of the camera. 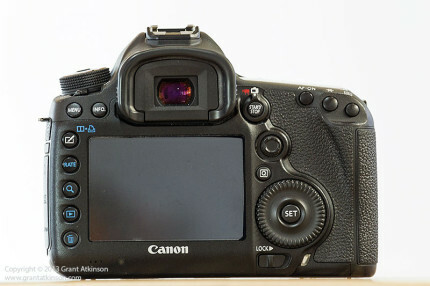 The 6D has a 3 inch LCD, with most of its buttons and controls laid out on the right side of the screen. The 6D also has a Quick Control Dial with a Multi-controller directional pad built into it, very similar to the controller found on many compact cameras. The lack of a dedicated Multi-controller is perhaps one of the biggest ergonomic differences between the two cameras, depending on your shooting style. Those coming to the 6D from a compact camera will likely be comfortable using the do-it-all Quick Control Dial but I found it difficult to select an AF point quickly when using it. Both cameras have the same switch for engaging Live View and video, and they also share the same Multi-Function Lock switch. the 5Dmk3 alone has a Rate button and a Creative Photo button, neither of which I ever use in the field. To sum up, the 5Dmk3. with its bigger, deeper eye-piece and deeper grip, is substantially bigger than the 6D. In terms of controls, though the two cameras have almost all the same options, the layout is different in that the 5Dmk3 alone has the dedicated Af multi-controller, and the 6D concentrates most of its buttons on the right side of the body. To put numbers to the size differences between the bodies, a comparison of dimensions show that the 5Dmk3 is 7mm wider, 6mm taller and 5mm deeper. The 6D is noticeably more compact and might therefore be the camera better suited to those with smaller hands. When it comes to weight, the 5Dmk3 tips the scales at 950g with its battery in place, with the 6D weighing just 755g. Both cameras use the LP-E6 Lithium-Ion battery pack, which also simplifies things if you own a 5Dmk3 and a 6D. 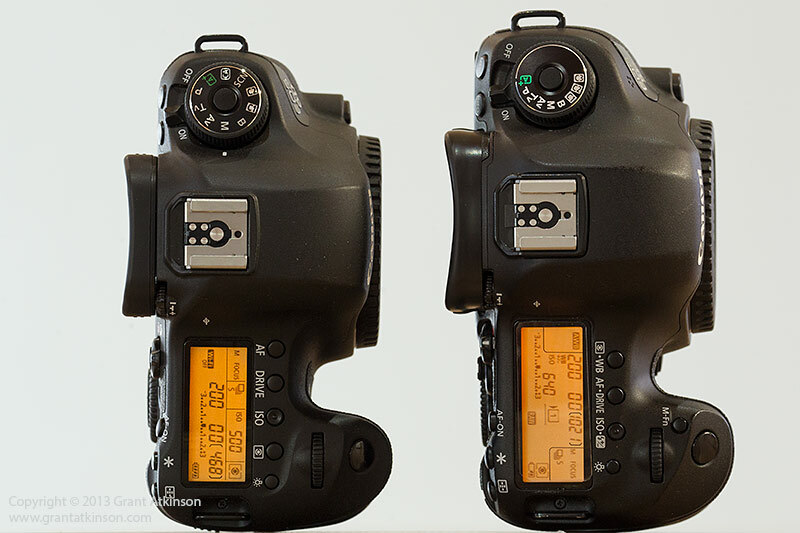 It is also worth noting that the 7D, 60D and 5Dmk2 all use that same battery. The 5Dmk3 has already become known for its great autofocus and for good reason. The AF grid is made up of 61 points. Coverage is very good, meaning that the points go a long way toward the edges of the frame, and there are enough points that there it is almost always possible to select and place a point where you want to focus. 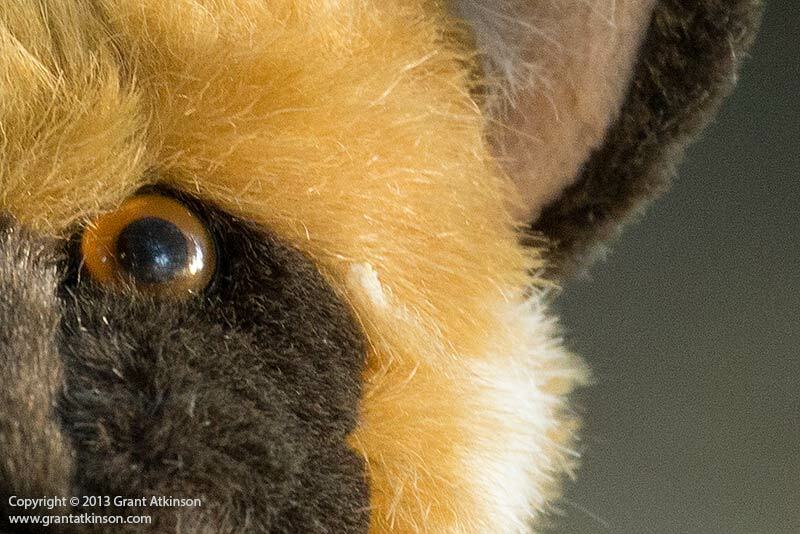 The central column of five vertical AF points are all extremely high precision when used with f2.8 or faster lenses. 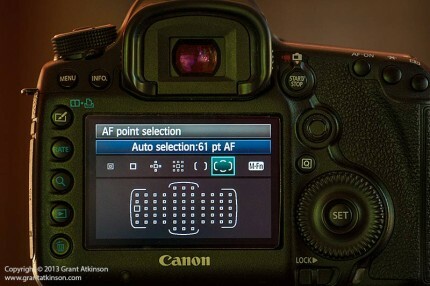 Of the total of 61 AF points, 41 are cross-type, depending on which lens is attached to the camera. Not only does the 5Dmk3 have high-quality AF points and a lot of them over a wide area, but it also has five different ways of controlling how they are utilized. You can choose from single, reduced-size precision point (called Spot AF), a single point, a small cluster of 5, a cluster of 9, a movable zone of points (Zone AF) and a fully automated AF utilizing all 61 points. It is also possible to use only the cross-type points as a selection. It is also possible to customize how the AF points display in the viewfinder, with choices being possible between showing only the selected point, or having all points visible at all times. 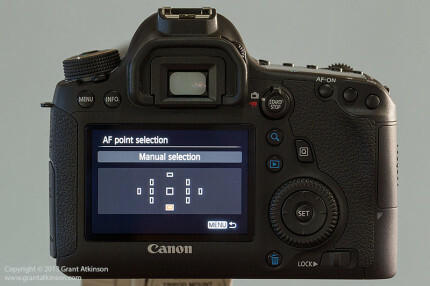 There is also a set of three controlling parameters that determine how fast, how sticky and how responsive the AF function is, and you can either choose to set each parameter yourself, or make use of Canon’s presets, of which there are six. To gain a deeper understanding of the 5Dmk3 AF parameter function, read my 5Dmk3 AF guide here. 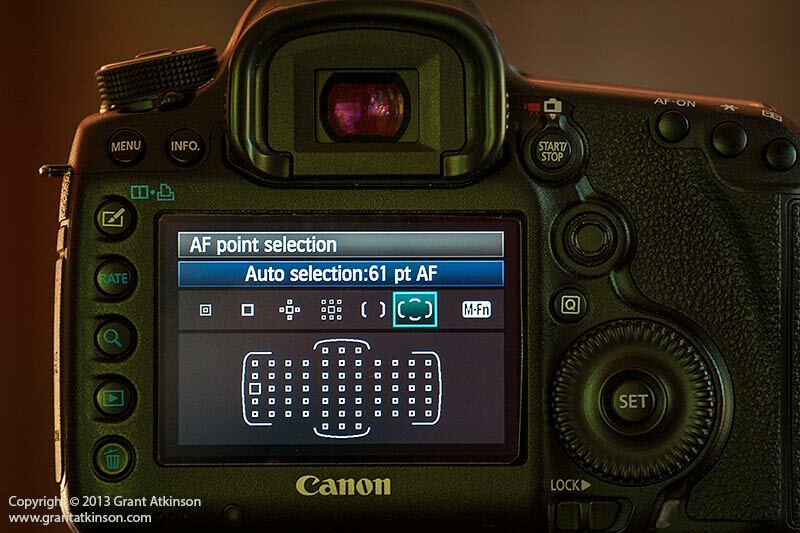 Canon 6D focus screen with AF point grid show. The 6D has an 11 point AF grid, and the shape of that grid in the viewfinder looks very similar to the AF in the 5Dmk2 and the original 5D. Don’t be fooled by that resemblance though, as the autofocus on the 6D is much improved and completely outperforms both those older Canon bodies. Whilst the peripheral AF points in the 6D focus grid are well-positioned in the frame, they do not extend as far toward the frame edges as with the 5Dmk3. There will be more occasions when you have to lock focus and recompose with the 6D, when you cannot place a point over the subject, than with the 5Dmk3 with its wider AF coverage. The 6D also has a set of controlling parameters for fine-tuning autofocus function, and they are Ai Servo Tracking sensitivity, along with Accelerate/Decelerate Tracking. There are no preset choices in the 6D AF, or AF Cases as found in the 5Dmk3, although setting the parameters yourself is usually a better option anyhow with both cameras. Of the 11 AF points, only the centre point is cross-type in the 6D. However, the AF system is good enough that the peripheral points worked very well in most situations apart from dealing with very fast-moving subjects, which were best tackled with the centre point. 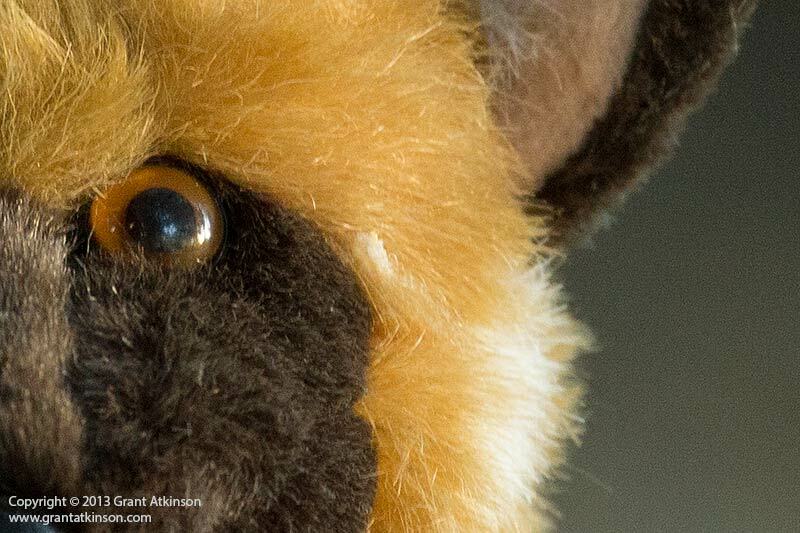 The centre AF point on the 6D is very impressive, and very close in performance to the centre point on the 5Dmk3. It is more accurate, and more positive in use than the centre point on the 7D, and the 5Dmk2, in all kinds of AF situations, including fast-moving subjects. I compared the low-light focus capability of these two cameras. The 6D centre AF point is rated to work in light as low as -3 EV, whilst the 5Dmk3 is rated to -2 EV. In this regard, it is the 6D that has the higher specification. I set up a 70-200 f2.8 IS ii on a tripod, with a static subject that had good black and white contrast, and gradually cut off the amount of ambient light in a garage until it got so dark that focus became impossible. In the ultra-low light, I found using One Shot AF gave the best results, with just the centre AF point selected. I also used a 1Dmk4 alongside the two newer, but cheaper cameras, just for interest. The 1Dmk4 gave up focusing first in the dark. The 6D and 5Dmk3 kept on going, allowing me to focus accurately time and again in very low light. With almost no light at all to work with, I found that the 5Dmk3 began to hunt back and forth first before locking on, whereas the 6D would still find focus positively. Add just the tiniest glimmer of light back to the scene, and the two cameras were on equal footing again with focus locking quickly and accurately. Both the 5Dmk3 and the 6D have ‘never-seen-before’ low light AF performance for Canon shooters (along with the 1DX), and I would rate them extremely close, with the 6D a fraction ahead in the deepest dark. It is worth noting that when the shutter or AF-On button is pressed to activate AF with the 5Dmk3, the active AF point in the viewfinder remains black. Some photographers have found this difficult to make out clearly especially when the AF point is placed against a dark subject. It doesn’t affect me at all, but most photographers prefer the way that the active AF point in the 6D viewfinder lights up red when AF is activated. I used both cameras in a variety of shooting situations, and I can say with confidence that the 5Dmk3 has great AF in all regards, on par with the 1D Canons in most regards, and with good coverage and accuracy even from the peripheral points. The 6D also has accurate, positive AF, particularly from its centre point. It gives away very little if anything to the 5Dmk3 in that regard. The 5Dmk3 has significantly wider coverage of AF points though and more advanced control options. 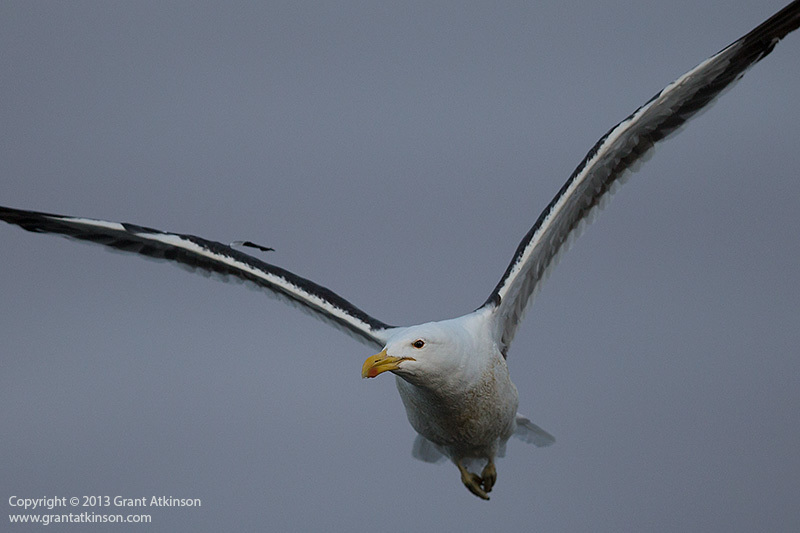 Either camera is fully capable of tracking birds in flight, even in surprizingly low light. Both these cameras are driven by a Digic 5+ processor, which means lots of computing power on tap. With virtually identical shutter lag figures of around 59/60ms, the two cameras are both quick off the mark, and getting that all-important first shot happens very quickly. With a frame rate of 6 per second, the 5Dmk3 is the faster of the two bodies. The 5Dmk3 is also shooting slightly higher resolution images, with correspondingly larger file sizes, and it has a rated buffer of 13/18 frames, depending on what card is being used. With my own 5Dmk3, I have yet to have the buffer fill during shooting. I use fast CF cards but the 5Dmk3 also offers the option for both CF and SD cards, with its dual card slots. Always remember that the CF drive in the camera is faster than the SD drive alongside it. I shoot raw images only, and turn off all the in-camera processing options in order to maximize buffer space. The 6D shoots at 4.5 frames per second, and has a buffer rated at 13/17, depending on what card is in use. Again, I never came near to filling the buffer on the 6D in real world use, even when photographing birds in flight. As with most recent Canon cameras, if you choose to use fast cards, then you can add to the rated buffer figure. The 6D only has a single card slot, for SD cards. The 5Dmk3 and 6D have very quiet shutter sounds, with the 6D being exceptionally quiet, even when shooting bursts. Both cameras also have a silent mode, which really works. In silent, you can choose to shoot at one frame or 3 per second. The silent mode is a big plus, and I frequently make use of it when shooting wildlife from hides or blinds. The noise generated by either camera when shooting in silent mode is so quiet that wild subjects are not disturbed at all. I was able to take advantage of the 5Dmk3 silent mode to photograph elephants at a distance of just a few metres, and using silent mode meant that the animals never became irritated and stayed close by. Obviously the silent modes are also desirable when photographing any kind of event where loud shutter noises might be obtrusive. The shutter on the 5Dmk3 is rated for a life cycle of approximately 150 000 cycles, whereas the 6D has a rating of 100 000 cycles. 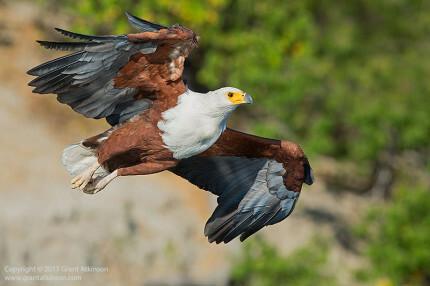 The 5Dmk3 shutter is capable of operating at a maximum shutter speed of 1/8000 sec. The 6D has a maximum shutter speed of 1/4000 sec. When shooting with flash, the 5Dmk3 again has a faster sync speed, of 1/200 sec. The 6D has a flash sync speed of 1/160sec. The 6D battery is rated for 1090 shots, compared to the 5Dmk3 at 950 shots, which is likely due to the smaller file size for the 6D. Both of these dslr’s can shoot multiple exposures and combine them in camera for a creative effect, and both cameras can also shoot and blend hdr images. The hdr function in the 5Dmk3 is a little more advanced in terms of it’s options. The two cameras share the same 63-zone metering system, and the same metering modes. They both have the same options Auto Lighting Optimizer, Auto-Iso, In camera noise reduction, Highlight tone priority ,AF Microadjustment and Lens aberration correction. Both the 5Dmk3 and the 6D have full-frame sensors, with the 5Dmk3 holding a slight resolution advantage at 22 megapixels. The 6D sensor is 20 megapixels. A vertical crop of 2:3 aspect ratio delivers a 9.8 mp image for the 5Dmk3 whilst performing the same crop with the 6D results in an 8.9 mp image. When it comes to actual image quality, the output from the two sensors is quite similar, although the 6D image is a little cleaner than the 5Dmk3, especially at higher iso settings. When viewed on my 13″ laptop screen, without zooming in, it is difficult to tell the images apart though. On the 23″ inch screen that I use at home for image editing I can tell the 5Dmk3 images from the 6D, especially once the iso is above 800 with the noise pattern a little smoother on the 6D. I have posted a series of images shot with the two cameras, with the same lens and subject. Between each set of images I increased the iso sensitivity by one stop. 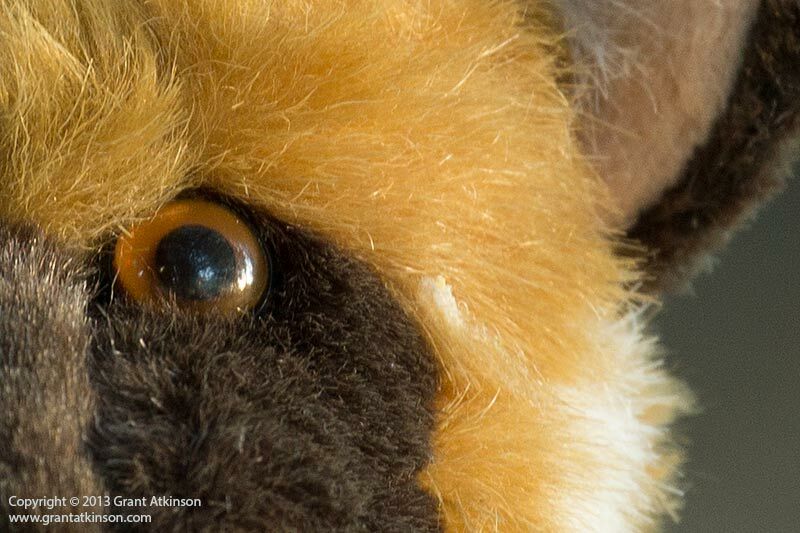 Every second set of images is deeply cropped, for comparison and to allow finer inspection of image quality. Each image is captioned with details. The two images below this were downsized from full resolution to web size, Iso 400. The two images below were cropped heavily, Iso 800. The two images below were downsized for web from full resolution. Iso 1600. In terms of processing the test toy animal images in this text, I shot in raw, and processed in Adobe Camera Raw, applying a low level of sharpening to the high-contrast edges of the subject only. Amount was 50. I applied no noise reduction at all, and I sharpened each image once for website viewing after downsizing to the 800 x 533 web size in Photoshop. Every image was processed identically. The two cameras are close to one another with their image output but not identical. 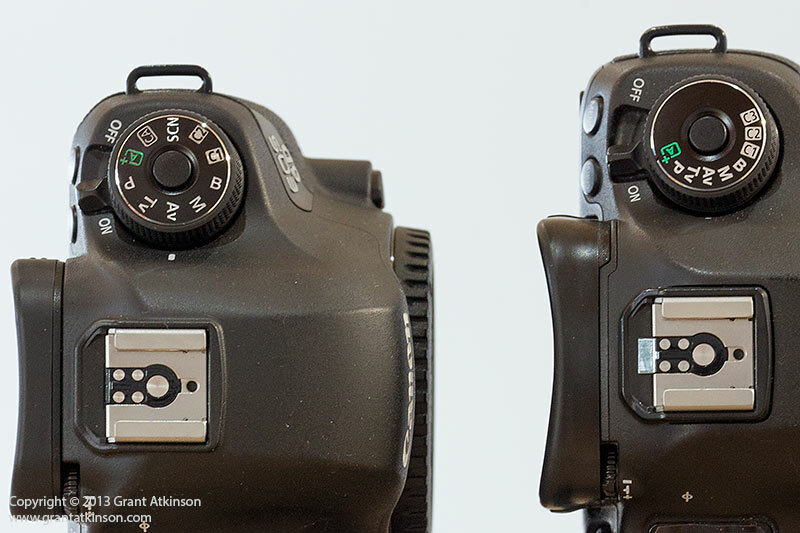 The 5Dmk3 has a slight resolution advantage, whilst the 6D holds a slight image quality advantage. They are both capable of very high quality output, in terms of detail, colour, contrast and this is true even in low light conditions. 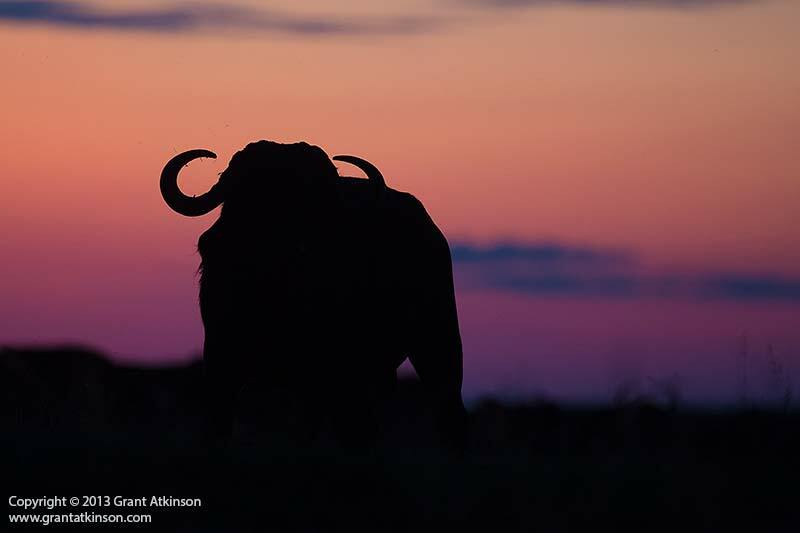 The image below of the African buffalo was taken after sunset, and serves as an example of real-world low light output. Canon 5Dmk3, Canon EF400 DO f4 IS. Shutter speed 1/30sec at f4. Iso 3200. African buffalo. Cropped from 22mp to 14mp. Processed in ACR, sharpening and noise reduction, resized for web. Another example, this time from the 6D, also taken in low light and gloomy conditions. Canon 6D, EF 70-300 5.6 L IS. Shutter speed 1/800sec at f6.3. Iso 1600. 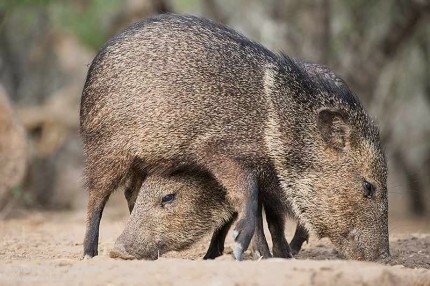 Collared peccaries. Image processed in aCR, sharpened, no noise reduction applied. My assessment of image quality is subjective, and may be different from yours. For my needs, both of these cameras produce images good enough for print at iso 3200, and with minimal noise reduction applied. I prefer to work in the range of iso 400 to iso 1600 when I can, with iso 3200 an option when the light is low. Heavy cropping reduces image quality, and noise may be more visible. I also use selective processing techniques that help to minimize noise. The two cameras are both well equipped for video and live view shooting. I have done little serious video work with either of them though, and will leave any proper review of their respective video capabilities to others for now. It would seem from specification that the 5Dmk3 is the more refined tool for video. The 6D is equipped with a built-in GPS, which is most useful. 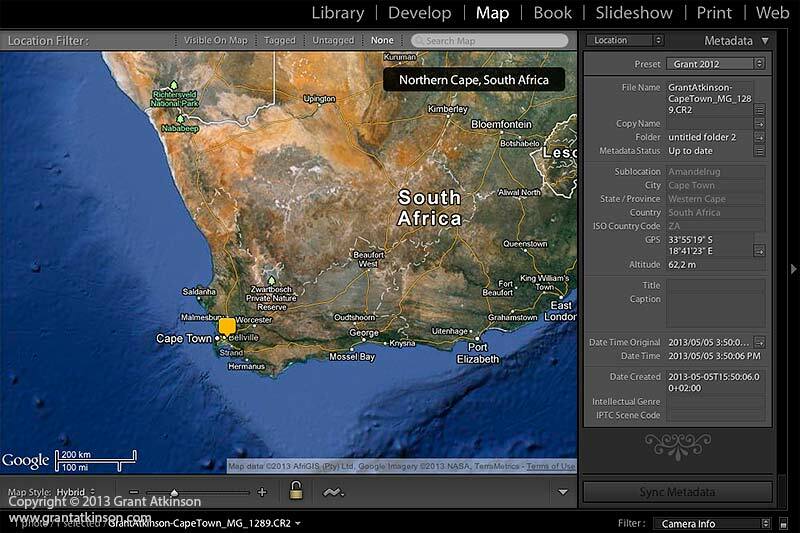 Shoot with the GPS switched on, and when you download the images, Adobe Lightroom will tag them on a map for you, as well as include the embedded locational information in the metadata. The supplied Canon software that comes with the 6D will also do the same. Yet another feature only available at the time of writing in the Canon 6D is built-in wifi capability. 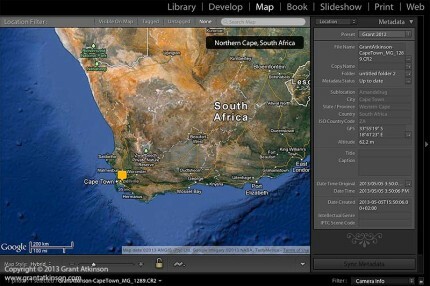 Using the Canon program, it is possible to control the camera remotely by means of a smartphone or tablet. It is also possible to transfer data directly from the camera to a remote device. The wifi connectivity opens up lots of options, and it also means that 6D users are getting extra value for the money. The 5Dmk3 has one of the best viewfinders on any current camera. With 100 % coverage, the big and bright viewfinder has an LCD overlay, that provides options for customizing and using the autofocus grid and its 61 points at the touch of the M.Fn button, as well as the option of an electronic horizon level, and a rule of thirds grid. The 5Dmk3 viewfinder improves the shooting experience each time you look through it. The two cameras offer full-frame image quality at two different price points. The 6D is a very capable, fully-featured, full-frame camera in a compact form, with a simpler interface. The 5Dmk3 offers offers fully expanded capabilities in almost all aspects, in a bigger, heavier and more rugged design. It is possible that either one of the two cameras may be more suited than the other to your particular needs, or it may be that both are good enough, and the choice just comes down to personal preference. Thanks again for a very good comparison. It was great for me to read (using the 5DIII and 5DII) to learn more about the 6D. Same experience here. The 5DII have a gap below the mirror while the 5DIII’s mirror cover the whole lens mount opening. I believe that contribute to the fact that I have more dust on the sensor in the 5DII than on the 5DIII. Thanks for that, Hannes, and your explanation of the mirror difference between the cameras. For sure that will play a role, as does the flourine coating that Canon are putting on the front of some sensors (at least on the filter layer) and I also believe they have gotten better and better at designing mechanisms that generate less dust inside the camera..all things combined mean that the newer Canon dslrs, including the 7D and the 1Dmk4, are pretty good at keeping their sensors clean. Grant, some advice please. I am considering upgrading to a 5d Mkiii from a 60D, will I be able to use all my current lenses (please excuse my ignorance). best regards. Johnny. Hi Johnny, if you list your lenses then I can tell you which ones should work and which may not? I seem not to have found a list of them in your original message? I finally finished reading this review. Each time I read a review or an explanation of technical issues with cameras I really feel like it made sense to me. And, believe me, that is not an easy task. You once suggested the 6D as a second camera and now I understand why. Once again, thank you very much for writing with such clarity! Glad it was interesting and thanks for the feedback. With the steady increase in the number of digital camera bodies in Canon’s range, it becomes more important to best understand the differences that exist between them. I am very fortunate to be able to spend a lot of time shooting with the cameras, and I enjoy writing about them. 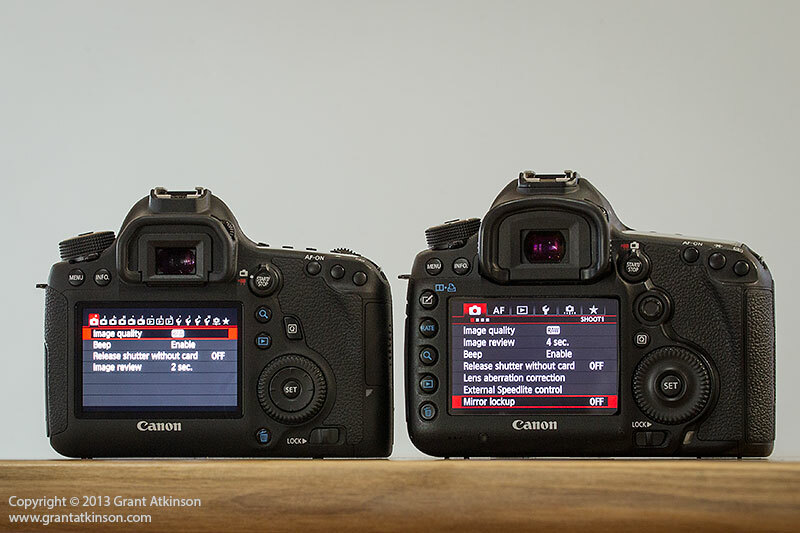 I found the comparison of the two cameras very interesting with the 6D being better than I expected. One of the biggest differences seems to be the autofocus. As far as I know the 5D Mark3 can autofocus with a maximum aperture of F8 or larger while the 6D will only autofocus with an aperture of F5.6 or larger. Although I shot the 6D with a 500 f4 L IS ii when I last had it, I did not try to test it with a 2x extender, so I am unfortunately not able to answer your question with any direct experience. The 6D owners manual states that autofocus with maximum apertures smaller than f5.6 is only possible in Live View so it would seem that the 6D cannot perform normal AF with a 2x extender and an f4 lens. I can confirm that the 5Dmk3, with it’s latest firmware update, will comfortably autofocus with centre point only, with Canon super teles that have maximum apertures of f8, as I have tested that myself. It is always difficult for me to evaluate what noise may be acceptable for other folk. For me, both the 5Dmk3 and the 6D start to show a fair bit of noise at iso 3200, but if I do not crop the images too heavily, then I can easily get publishing quality results for magazine use, or decent sized prints, at those iso settings. I shoot raw and do a little noise reduction using CS6 or LR5. I also process my images in such a way as to not make the noise show up more. I am also happy to use images from 6D and 5Dmk3 at iso 6400 for internet usage, where resolution is reduced. 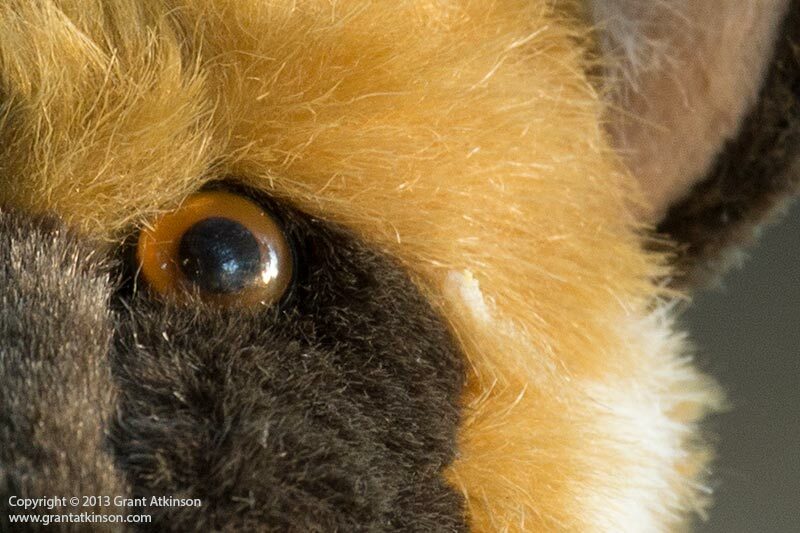 To my eye the 6D holds about a slight advantage in high iso noise, perhaps just less than a third of a stop. Which lenses you might want to choose for wildlife will depend on what your subjects will be, how big they are and how close you can get to them? With some more information from you in that regard, I can make some lens recommendations. Overall, the 5Dmk3 holds autofocus (configuration and frame coverage advantages) and speed advantages mainly over the 6D, as well as extra controls on the camera body itself. The 5dmk3 is also built heavier and stronger. Great article. I own a canon 6d and 7d, I love shooting with both. I do have a question for you. I am heading up to Niagara Falls soon and I am concerned with the amount if moisture that will be present. Will the canon 6d hold up to it? What precautions if any do you recommend? I think the 6D is pretty good as far as weather-sealing goes, but if there is going to be tremendous amounts of moisture then I have found that it helps to choose whatever mode I am going to shooting in first, then tape over the mode dial, with any tape that will help seal the mode dial area, and not leave nasty goo residue when you remove it. I would also tape over the flash mount if you arent going to be using the flash. Apart from that, you would do well by using an EF-L lens with weather-sealing, and another thing band of tape around where lens and body meet, so long as this doesnt interfere with the focus or zoom ring action. It is also worth using a lens filter, even just a UV haze, to increase lens protection for the front element. Maybe also tape over the lens switches. When shooting in Victoria Falls in Zambia, I always took an umbrella and a decently large, waterproof ziplock bag along for carrying the camera, and even composing in, then just removing the camera briefly to take the shot, keeping its exposure to large amounts of moisture for a short period. Keep a dry towel handy to keep the lens/filter element clear. I was sceptical about the AF performance of the 6D, but this has put my mind at ease, thanks again. Very interesting piece. Currently mulling over this exact choice although its complicated by my existing camera, the 7D. Budget dictates I can get the 6D and keep the 7D, but if I stretch to a 5D III then the 7D has to go to partly pay for it. I’m cursed as one of those people who shoots a bit of everything. Of the action/long lens stuff I shoot then its a mix of aviation, motor sport and wildlife (some birds and done a couple of safaris). Currently I have a 70-300L as my longest lens. So loss of reach is the one thing that puts me off going solely to a 5D III (I do shoot a fair bit towards the longer end of that lens), whereas potentially lugging two bodies around is an issue if I go for a 6D/7D combo. So what is of interest is how the AF speed/tracking compares in good conditions of the 6D to the 7D, should I find myself out with one body (say if i’m travelling). I realise the 7D has it trumped on the AF point count and coverage, although I tend to shoot with the central cluster most of the time anyway. And whilst the 7D AF is pretty good, it does have the occasional lapse in terms of absolute accuracy. Hi Martin, you have an interesting mix of subject matter. If it were me, I would probably go for the 5dmk3. The higher-resolution sensor of the 5d3 (when compared to the 6d) may also help to offset a little of what you give up with the 7D and it’s very fine pixel pitch (4.3 microns). Cropping an image from the 5Dmk3 image until it matches the subject size of the same subject shot with the same lens using the 7D, will leave you with an image of just over 9megapixels, which is still pretty decent. Yes it was a conundrum indeed. Your advice and also seeing a pretty decent offer on one then I’ve decided to go for the 5D III and should hopefully have my mitts on it within a week or so. Thanks a lot for the advice! Hi Martin, good to hear. 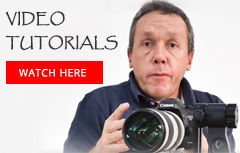 Let me know how it works out…although I think you will be happy with the results the 5d3 delivers. It is my main camera body almost all the time these days. Thanks very much for the review Grant. I was pretty set on the 6D but after much consideration I have decided to pay the extra for the 5D mkIII. The difference in AF was the main reason for the change. It will be a big jump from 500D but I feel there will be more room for me to ‘grow’ with the 5D. I ordered it with the 24-105mm and am saving up for the 100-400mm. Mainly do nature, landscapes and travel. Thanks for all the reviews and comments here and on ODP. Just thought I’d check back in and let you know how things went. Given the wonderful English weather I’ve had limited opportunity thus far to get out and about. The first weekend after it arrived I did take it for a test run at a local falconry centre. Now I did rate the AF of the 7D but the 5D III really does take it to another level. And considering the light was less than ideal at times (late winters afternoon, low sun ducking in and out of cloud from a far from optimum direction) it was still actually really hard to miss. And the high ISO performance is genuinely something else, which gives you so much more flexibility about setting fast shutter or stopping down in iffy light without seriously compromising the IQ of your end result. Getting perfectly serviceable shots with a little PP at ISOs around the 10000 mark is mind-blowing stuff. And as you said, coming from the 7D then the learning curve in terms of interface is pretty slight. The only thing that’s been hard to adapt to is the dedicated zoom button over the 7D’s use of the AF/AE buttons for zoom in/out. Certainly your mini-guide on the myriad of AF use cases has been pretty essential reading to get my head around the finer nuances of the system, so cheers for that. The short end also looks like being a whole lot of fun too. After a lot of deliberation I’ve just added a Sigma 12-24 to the mix (my previous UWA was a crop sensor lens). The current wet spell has meant that’s only been used in anger the once so far, but from playing about with it so far then that should open up some really interesting opportunities. Also checked out your results from the Gauntlet Centre, lots of ultra-sharp flight sequences on view there, even against the dark background, which is not easy to do. With my own 5dmk3, I set up the rear zoom (magnify) button in the blue Play menu, third tab, second last option downwards (Magnification (apx) to “Actual Size”. At least like that just one push of the Magnify button on the left side of the screen zooms in substantially and I don’t have to fiddle around so much with the main dial. Thanks Grant this article really helped me a lot. Since I need to upgrade my camera equipment. Like the fact that the Canon 6D body is smaller. Is the Canon 6D body more or less the same size as the old Canon5D MarkII? The 6D is definitely going to work for me. Thanks Grant. I own 1D2 for wildlife and it was replaced by 6D, fast focus tracking and servo follow, useful higher iso, great dynamic range, ff sensor make sense to use. I had 7D and doesn’t like the images quality and iso noises, so for my preference 6D is great camera for everything. Like I mention I’m wildlife photographer, actually 5.6 fps good frame speed for me and will not brooking your camera’s shutter quickly – capacity up to 100,000 shots under warranty. Actually with fast frame dslr when I had 300 shoots I was keeping about 10 of them, I prefer to shoot 100 shots and keeping 20 of them, 6D is very good camera for amateurs even for some pro photographers. Someone who need special preference like 5D3 yes this is better pro dslr but for twice price. Another wonderful article..the comparisons you select are the once which has troubled the photographers most in selection..?? 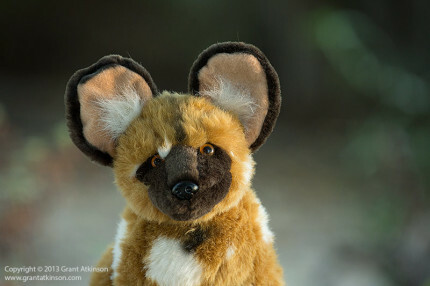 Would love to know your opinion on 6D for wildlife..previously i was planning for 70D/ used 7D.. But now I would like to give a thought f buying used full frame i.e 6D..
My major concern is – just 1cross AF point..how does it affect?? How will these two drawbacks affect wildlife photography..